Interested in a printed copy of Bookwyrms or the game? Oh right, I thought chapter one had only just finished, for some reason I thought these were sections within a chapter rather than actual chapters (idk why I thought that). Yes, I call them chapters but they’re more like sections, quite small! 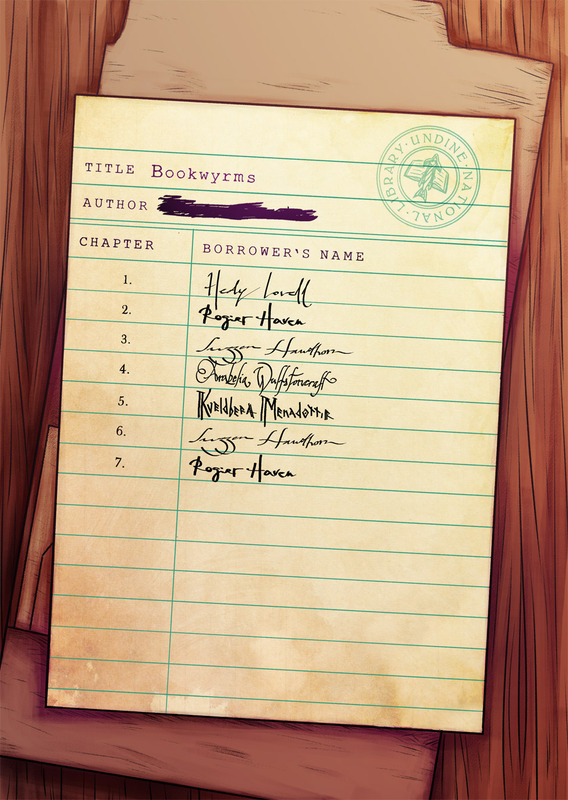 The first volume of Bookwyrms would be more similar to a real chapter length, about 100 pages or so. © Lorena Garcia 2019. All rights reserved. Redistribution of any content in this website is not allowed without written permission from the author.